1989/92 Played European Tour, PGA Championship at Wentworth. 1989/90/91/92 Played European Tour , English Open at The Belfrey ( best finish 20th ). 1993 Played in The Open Championship Royal St. George's, Sandwich. 2002-3 Phil Ritson Classic Master Teaching Professional. 2006-2012 Worcestershire Ladies County Coach. 2010- 2013 Men's/Junior Boys County Coach. 2003 Caddy and Instructor to K.J.Choi on PGA Tour, USA. 2003 Hosting Infomercial, and Instruction Video for Straight Power ( Training System ). 2004 Director of Instruction at American Tour Golf Schools, Orange County National, Florida, USA. 2005- Head Professional at Worcester Golf and Country Club. 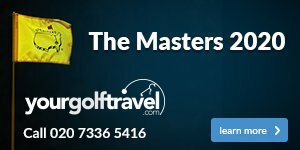 Graham has enjoyed a fantastic career in golf and loves to impart his knowledge onto his pupils. Oliver is currently playing and competing on the European Tour, whislt not competing he offers a hand in the shop. 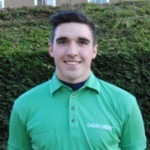 Oliver also holds qualifications as a PGA level One coach. 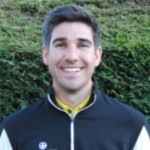 Jason Farr is our very own PING approved custom fitter and level one PGA coach.